The City of Ember is stuck in darkness the only thing lighting the roads and homes are lampposts spread across the city, all powered by a single generator. Ember seems perfect to its people except for the shortages. The city is running out of supplies, running out of power, and running out of patience with no one to save them. The only thing keeping the citizens from panicking are the lies of a corrupt government. 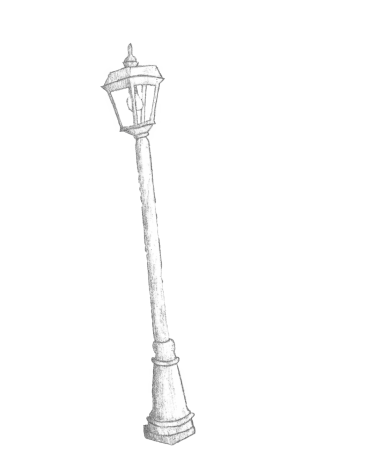 Drawing of a street lamp, like the ones that light the streets of The City of Ember. Illustration by Makena Pauly. The two protagonist Lina Mayfleet and Doon Harrow, set out to solve the mysteries of Ember in order to save their people. Lina starts off their adventure with a childish insight of Ember, with goals to explore the hidden parts of her city. After watching others be consumed by their greed and struggling with her own, Lina matures, realizing she has a responsibility to take care of her younger sister. She realizes Ember is not the perfect place that she thought it was; it is a dying city and nobody’s doing anything about it, so she joins hands with her male counterpart Doon to fix things. 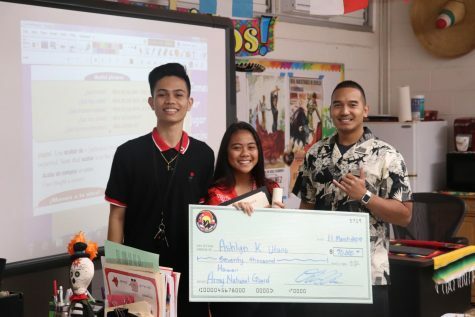 Doon is not a typical kid; his life goal is to make his father proud, a task that should be easy considering his high intellect and strong desire to help others, but struggling with his own anger and dissatisfaction the task is almost impossible. He is still a fan favorite being the young genius that he is, but more character development could be desired from him. He never fully develops over his anger and his desire problems, leaving him the same as he was in the beginning of the story. The best part of this young adult book is the imaginative descriptions of the city. The author, Jeanne DuPrau, does an excellent job painting a picture of Ember in her readers minds, by using strong adjectives and descriptive metaphors. By doing this she is able to show an apocalyptic world in a positive light instead of the dark and dreary world readers might be accustomed to. Ember gives off a pleasant feeling of a cozy yet futuristic city that readers can see themselves living in. Though the descriptions are magnificent DuPrau’s writing style is a little simplistic. Depending on the reader it can be perfect or an annoyance. For those who are looking for a challenging book this book might not be the best. It will challenge a reader’s views on society but the vocabulary and sentence structures are nothing fancy, so it won’t test a person’s reading ability; but for those who are looking for a good book with an interesting story and good characters the City of Ember is highly recommended. The City of Ember gives the reader an opportunity to become apart of its world, solving the mysteries of Ember alongside the characters. It is an enjoyable read for beginner and veteran readers.